ClearCorrect® braces are an alternative to both traditional braces and Invisalign®. In our Emerson dentist office, we provide this solution for straightening teeth discretely. If you live in or near the 07630 area and want to improve your appearance, we invite you to call (201) 620-9998 and schedule a consultation to learn how this treatment option can work for you. Instead of relying on metal brackets and wires to move teeth, ClearCorrect® braces use a series of clear aligners to move teeth into place. The aligners are made of a clear and comfortable plastic that looks similar to a full retainer. By taking care of them and refraining from scratching their surface, aligners will remain clear and virtually invisible when worn. At Emerson Dental Associates, we can show you how to keep your aligners in perfect condition during the treatment process. The aligners are given to you at the beginning of the procedure so that you do not have to visit our Emerson dentist office every time that you need to switch them out. This allows you to spend less time in the dental chair than you would when wearing traditional metal braces. Simultaneously, metal braces are difficult to keep clean as food can become stuck between the brackets, requiring a special floss to remove the bits of food. At Emerson Dental Associates, we can help patients receive the necessary treatment without having to drastically change their diet or skip out on some of their favorite treats when wearing braces. While only temporary, this can be inconvenient and at times, frustrating. Given the tendency for food to become stuck, those wearing braces, also need to spend more time brushing and flossing throughout the day. Another advantage of ClearCorrect® braces over traditional ones is that patients can remove the aligners while playing sports, a musical instrument or singing in the choir. As a dentist, we recommend that athletes wear a mouth guard during practice or a game. With braces or other teeth-straightening products, this can be an issue. With ClearCorrect®, patients can remove the aligners to wear the mouth guard. If you play sports on a regular basis and live in the 07630 area, we invite you to schedule a consultation to see how much easier it is to continue wearing a mouth guard when using ClearCorrect® to straighten your teeth. Check out what others are saying about our ClearCorrect® braces on Yelp: ClearCorrect® Braces Emerson. At Emerson Dental Associates, we receive requests to straighten teeth as fast as possible. We understand this desire and offer possible solutions that will work with the patient’s lifestyle. In general, ClearCorrect® has better and faster customer service than Invisalign®. Since they manufacture the aligners in the United States, versus overseas, the process is even faster. This enables us to provide you, our patient, with aligners in an expedited fashion so that you can begin treatment and have straighter teeth – faster. They both have a similar method for treating teeth, applying pressure through aligners. However, with ClearCorrect® braces, you will receive phenomenal results, high-quality patient care, and beautifully straight teeth. If you are considering either of these options, we invite you to call 201-620-9998 and schedule an appointment with our Emerson dental office so that we can discuss your goals and the ClearCorrect® procedure in further detail. 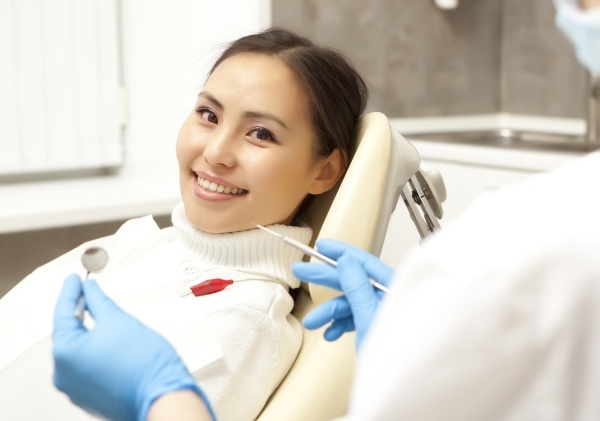 Once you are ready to get started, we will walk you through the process and examine your teeth on a regular basis to ensure that they are responding as they should, so that you can love your smile again.